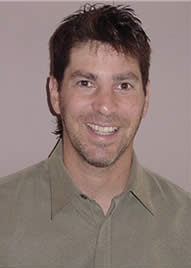 Anthony D. Andre received his Ph.D. in Engineering Psychology (Human Factors and Ergonomics) from the University of Illinois in 1991. In 1992, he founded Interface Analysis Associates (IAA), a Human Factors, Usability & Ergonomics consulting firm specializing in the design, analysis and usability testing of software/hardware user interfaces, computer input devices and ergonomic products, high-tech consumer products, software and Web applications, medical systems, office environments and aerospace/automotive systems. As part of the Human Factors and Ergonomics Graduate Program at San Jose State University, Dr. Andre is an Adjunct Professor in the departments of Psychology and Industrial/Systems Engineering. He teaches graduate seminars and courses on ergonomics, cognitive engineering, engineering psychology, research methods, usability evaluation and testing and human cognition. Dr. Andre was honored by the American Psychological Association (APA), Division of Applied Experimental and Engineering Psychologists, as the first recipient of the Earl Alluisi Award for Early Career Achievement. He is also a Contributing Editor of Ergonomics in Design, a member of the Editorial Boards of the International Journal of Aviation Psychology and Human Performance in Extreme Environments, past Chair of Professional Development/Education for the HFES National Program Committee, and a Founding Member of the Board of Directors of the Silicon Valley Ergonomics Institute. Dr. Andre is the author of over 100 publications and has presented numerous invited addresses, panel presentations and technical lectures on various human factors and ergonomics topics.